The Conspiracy Zone : SECRET ILLUMINATI BLUEPRINT DOCUMENT USED TO ENSLAVE YOU IS FINALLY REVEALED! HELP KEEP THE CONSPIRACY ZONE ON THE WEB! Our constitution, our bill of rights mean nothing whatsoever to world leaders. Our constitution might as well be used as toilet paper for the good ole’ boys at the White House. The fact is, YOUR rights, OUR rights, mean less than nothing in the eyes of the illuminati. The constitution of the United States has not been honored by our past and current presidents. Not only do they not honor it, but they are working 24/7 to try and take away your rights and basic freedoms. So what rules do the global elite go by? It’s a document which was written about 100 years ago. 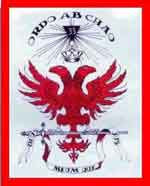 The author is unknown although some attribute it to Lionel Rothschild. This much we do know…..The Protocols of the Learned Elders of Zion first appeared, in a shortened form, in an August, 1903 edition of the Kishinev newspaper, in the Ukraine; then in 1905, in the appendix of the third edition of a book by Nilus called The Great in the Small, which was about the coming of the Antichrist. Nilus said that the Protocols were translated from the French text of a speech made to 300 influential World leaders. A prostitute allegedly stole the document from a leading Jew. A copy was received by the British Museum in London, in August, 1906, where it was translated by English journalist Victor Marsden, who published it in 1921. Marsden said that he couldn’t work on the translation for more than an hour at a time, because of the evil he felt while reading it. In 1917, Nilus revised and expanded his book, which he called, He is Near, At the Door: Here Comes the Antichrist and the Reign of the Devil on Earth. 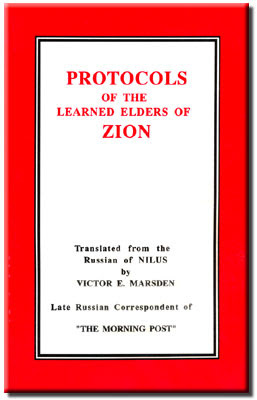 Nilus wrote: “These Protocols are nothing else than a strategic plan for the conquest of the world…presented to the Council of the Elders by…Theodor Herzl, at the time of the first Zionist Congress (held by the World Zionist Organization in 1897, at Basel, Switzerland).” However, in his 1905 edition, he said that the Protocols had been given in 1902-03. In fact, with each subsequent edition that appeared in different countries, the origin of the document was different. On August 16, 17, and 18, 1921, the New York Times ran editorials by Phillip Graves, a London Times correspondent, who said that the Protocols had been copied from a rare 1864 French political satire called Dialogues in Hell Between Machiavelli and Montesquieu (also referred to as the Dialogues of Geneva by the London Times because Geneva was identified as a center of revolutionary activities) by lawyer Maurice Joly(1831-1878). It was a pamphlet containing a conversation between Montesquieu (presenting a case for liberalism) and Machiavelli (who represented autocracy) which criticized the government of Napoleon III (who was deposed in 1871). Being illegal to criticize the Monarchy, he fictionalized it, making Napoleon the character of Machiavelli, to explain the Emperor’s underlying motives. Joly had it printed in Belgium, then attempted to have it smuggled over the French border. It was seized by the police, who confiscated as many copies as they could, then banned the book. The police traced the book to Joly, who was then tried on April 25, 1865, and sentenced to fifteen months in prison. There is no question that this is an occultic document and whom ever the original author is no doubt penned it through spiritism and automatic writing. Every U.S. president, past and present knows what this document is. Every world leader can recite this document by heart. This document was never supposed to be read by the general population….but here it is! It’s called PROTOCOLS OF THE LEARNED ELDERS OF ZION. 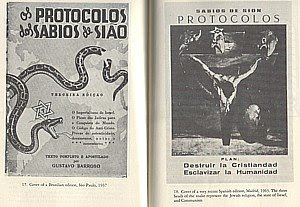 The Protocols of the Learned Elders of Zion is a document which should be read by all. No other single document provides us with such a clear understanding of why the world is gradually moving towards a One World Government, controlled by an irreproachable hidden hand. In The Protocols, we are given clear insights as to why so many incomprehensible political decisions are made in both local, national and international politics, which seem to continually work against the favor of the masses and in favor of the vested interests of the banking/industrial cartel—the global power elite. The average person normally reacts with outrage and horror today at the very suggestion that there may be a conspiracy as grand as The Protocols. But the average person has absolutely no information on which to base his or her opinion. The reaction to exposure of this ancient conspiracy is merely a pre-programmed Pavlovian reaction, created and instilled by the very perpetrators of the same ancient conspiracy. And today, very few will dare speak above a whisper of that all-encompassing oppression of mankind. It is extremely rare today to find information about the ancient conspiracy, due to the mass censorship of the printed word, and the unwillingness of the general population to consider as a possibility something which they have been brought up since birth to see as outrageous and ridiculous. Each generation is born into a world of greater and greater censorship and illusion. That means you and I. We believe that the word “GOYIM” is just a ploy to cover up it’s real intent and that is to enslave mankind into the watchful eyes of the illuminists. As you read parts of this document here, substitute the word “people” for “Goyim” and see if you don’t have an exact blueprint of what is going on in the world today. 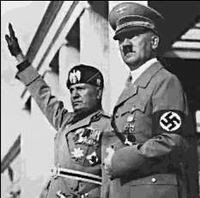 Here you see they advocate terrorism and violence to bring about the New World Order. And they DO NOT like the idea of “Freedom”. The political leaders use the concept of “freedom” just to bait you into their trap. Here they flat out tell you “morality has no place in politics.” It’s seen as a handicap to the illuminists. They also tell us that the ends always justifies the means, be it lying, killing or creating the events of 9/11…...the goal is all that is important. 2. 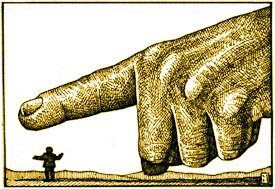 The administrators, whom we shall choose from among the public, with strict regard to their capacities for servile obedience, will not be persons trained in the arts of government, and will therefore easily become pawns in our game in the hands of men of learning and genius who will be their advisers, specialists bred and reared from early childhood to rule the affairs of the whole world. As is well known to you, these specialists of ours have been drawing to fit them for rule the information they need from our political plans from the lessons of history, from observations made of the events of every moment as it passes. The GOYIM are not guided by practical use of unprejudiced historical observation, but by theoretical routine without any critical regard for consequent results. We need not, therefore, take any account of them – let them amuse themselves until the hour strikes, or live on hopes of new forms of enterprising pastime, or on the memories of all they have enjoyed. For them let that play the principal part which we have persuaded them to accept as the dictates of science (theory). It is with this object in view that we are constantly, by means of our press, arousing a blind confidence in these theories. The intellectuals of the GOYIM will puff themselves up with their knowledges and without any logical verification of them will put into effect all the information available from science, which our AGENTUR specialists have cunningly pieced together for the purpose of educating their minds in the direction we want. Here they state that they have lied to people by presenting theories and not facts. Evolution is one of these lies. They also state they own and control the press. THIS IS IMPORTANT! Many high ranking illuminists own Television and radio stations, including Rupert Murdoch and Ted Turner. All people are chained down to heavy toil by poverty more firmly than ever. They were chained by slavery and serfdom; from these, one way and another, they might free themselves. These could be settled with, but from want they will never get away. We have included in the constitution such rights as to the masses appear fictitious and not actual rights. All these so-called “Peoples Rights” can exist only in idea, an idea which can never be realized in practical life. 10. The GOYIM have lost the habit of thinking unless prompted by the suggestions of our specialists. Therefore they do not see the urgent necessity of what we, when our kingdom comes, shall adopt at once, namely this, that IT IS ESSENTIAL TO TEACH IN NATIONAL SCHOOLS ONE SIMPLE, TRUE PIECE OF KNOWLEDGE, THE BASIS OF ALL KNOWLEDGE – THE KNOWLEDGE OF THE STRUCTURE OF HUMAN LIFE, OF SOCIAL EXISTENCE, WHICH REQUIRES DIVISION OF LABOR, AND, CONSEQUENTLY, THE DIVISION OF MEN INTO CLASSES AND CONDITIONS. It is essential for all to know that OWING TO DIFFERENCE IN THE OBJECTS OF HUMAN ACTIVITY THERE CANNOT BE ANY EQUALITY, that he, who by any act of his compromises a whole class, cannot be equally responsible before the law with him who affects no one but only his own honor. The true knowledge of the structure of society, into the secrets of which we do not admit the GOYIM, would demonstrate to all men that the positions and work must be kept within a certain circle, that they may not become a source of human suffering, arising from an education which does not correspond with the work which individuals are called upon to do. After a thorough study of this knowledge, the peoples will voluntarily submit to authority and accept such position as is appointed them in the State. The word “freedom” brings out the communities of men to fight against every kind of force, against every kind of authority even against God and the laws of nature. For this reason we, when we come into our kingdom, shall have to erase this word from the lexicon of life as implying a principle of brute force which turns mobs into bloodthirsty beasts. It’s not by chance you are struggling financially…you see it was PLANNED that way to keep you enslaved! You can also see what they think about human rights….NOTHING! They want all knowledge based on what they want you to know while true knowledge is only for the global elite. You can also see in the last sentence that they want to abolish the word “freedom”. It doesn’t get any more obvious does it? They want to destroy the people’s faith in God and replace it with useless knowledge. They also state they want most of your life to taken up by work so you don’t have time to think about what is happening to you. 5. FOR A TIME PERHAPS WE MIGHT BE SUCCESSFULLY DEALT WITH BY A COALITION OF THE “GOYIM” OF ALL THE WORLD: but from this danger we are secured by the discord existing among them whose roots are so deeply seated that they can never now be plucked up. We have set one against another the personal and national reckonings of the GOYIM, religious and race hatreds, which we have fostered into a huge growth in the course of the past twenty centuries. This is the reason why there is not one State which would anywhere receive support if it were to raise its arm, for every one of them must bear in mind that any agreement against us would be unprofitable to itself. We are too strong – there is no evading our power. THE NATIONS CANNOT COME TO EVEN AN INCONSIDERABLE PRIVATE AGREEMENT WITHOUT OUR SECRETLY HAVING A HAND IN IT. THE PRINCIPLE OBJECT OF OUR DIRECTORATE CONSISTS IN THIS: TO DEBILITATE THE PUBLIC MIND BY CRITICISM; TO LEAD IT AWAY FROM SERIOUS REFLECTIONS CALCULATED TO AROUSE RESISTANCE; TO DISTRACT THE FORCES OF THE MIND TOWARDS A SHAM FIGHT OF EMPTY ELOQUENCE. THERE IS NOTHING MORE DANGEROUS THAN PERSONAL INITIATIVE: if it has genius behind it, such initiative can do more than can be done by millions of people among whom we have sown discord. We must so direct the education of the GOYIM communities that whenever they come upon a matter requiring initiative they may drop their hands in despairing impotence. The strain which results from freedom of actions saps the forces when it meets with the freedom of another. From this collision arise grave moral shocks, disenchantments, failures. BY ALL THESE MEANS WE SHALL SO WEAR DOWN THE “GOYIM” THAT THEY WILL BE COMPELLED TO OFFER US INTERNATIONAL POWER OF A NATURE THAT BY ITS POSITION WILL ENABLE US WITHOUT ANY VIOLENCE GRADUALLY TO ABSORB ALL THE STATE FORCES OF THE WORLD AND TO FORM A SUPER-GOVERNMENT. In place of the rulers of to-day we shall set up a bogey which will be called the Super-Government Administration. Here they tell what they truly think of the people. They think the people are dumb sheep and have less “brains”. They also tell you the nations of the world are under their control. They also go on to admit that the people are being led by lies. Ahhhh, they know the people are content with a show. Politicians know they don’t need to follow through with their promises because the people never bother to hold them accountable. They also tell you they are afraid of your personal initiative. Don’t look to others to lead you…that’s when you give the illuminati power. Here they also spell out for you that they want a super government or New World Order and that is the agenda behind everything! Here it is people!!! They admit it is THEY who are the terrorists!! The illuminati!! NOT ARABS! They are also saying it will continue until the people accept their new government. They’ve also admitted it is THEY who are corrupting the youth of the world. Here they tell us, they name the presidents! They also consider him their “personal puppet” That’s what we at The Conspiracy Zone have been telling you all along. They tell you they will not put anyone in power unless he has skeletons in his closet so the controllers can resort to blackmail if they need to. WE FURTHER DISTRACT THEM WITH AMUSEMENTS, GAMES, PASTIMES, PASSIONS, PEOPLE’S PALACES …. SOON WE SHALL BEGIN THROUGH THE PRESS TO PROPOSE COMPETITIONS IN ART, IN SPORT IN ALL KINDS: these interests will finally distract their minds from questions in which we should find ourselves compelled to oppose them. Growing more and more unaccustomed to reflect and form any opinions of their own, people will begin to talk in the same tone as we because we alone shall be offering them new directions for thought … of course through such persons as will not be suspected of solidarity with us. There are many high ranking illuminists including Knights of Malta that own many professional sports teams. Hollywood is saturated with the global elite working behind the scenes…..Are you starting to see what’s really going on? You see the worlds economy is in the hands of the global elite. They manipulate it for their own ends. The stock market collapse, interest rates, unemployment etc, is ALL MANIPULATED!!!!! We are gradually being mobilized into a New World Order. The One World Government is being facilitated by the gradual movement of nation states into larger power blocks such as the European Union and NAFTA etc. 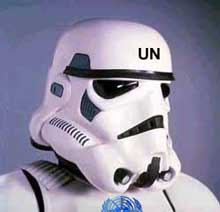 The United Nations has come into power as a global police force under the excuse of being a protector and benefactor of the world, exactly as outlined in the Protocols. The Jews have symbolically “returned to Palestine”, as the State of Israel now exists as the official universal “homeland” of all Jews, despite the vast majority of Jews having no racial connection with Israel whatsoever. “In a word, to sum up our system of keeping the governments … in check, we shall show our strength to one of them by terrorist attempts and to all, if we allow the possibility of a general rising against us, we shall respond with the guns of America, or China …” (Protocol #7 World Wide Wars, Paragraph 6). Global Terrorism is obviously the “artificial threat” created to achieve the New World Order. Expect to see more and more warnings and terrorist activities in America. “Those who would give up liberties in order to achieve safety deserve neither liberty nor safety”. Why is every blogger who writes about this stuff Christian? I believe in the New World Order/Illuminati/etc., but I'm not Christian. I don't see the need for comments like, "one of these lies is evolution". That's just based on your personal beliefs. And, "they could only be the work of supernatural Guiding Spirits through Automatic Writing"? Really? Why must everything be supernatural/spiritual? Just because something is evil doesn't mean it's Satanic/demonic. I'm aware of all the "Satanic" images in the media, but I think of them more as a figurehead for evil in general. I'm glad there are sites like this that expose these truths, but I think more people would take it seriously without the Christian bias. Why does everybody hate illumination? @Dan Why do people tend to discredit something if they deem it 'Christian' or 'too biblical' based? If something is evil, it's of the devil. Stop running from it and accept it. Dan doesn't even realize how he is falling into their trap by having a problem with those telling the truth's religion. Obviously they are all Christian because Christianity is the truth, and so Christians are aware of truth and have a moral obligation to preach it. Also, Christians are (or used to be) more aware of evil as an actual part of life instead of an "idea" like the postmodernist atheist NWO citizens believe. If you can identify evil you have the power to combat it. Denying it will never make it more untrue, I did for years and I lived in hell on Earth and did many horrible things that I am deeply ashamed of and will have to answer for one day. The only way out is through Jesus, plain and simple. Every day I become more and more sure of this and only wish I had known all of this when I was younger so I could have avoided so much. I am SO GLAD you talked about the Protocols, it is true and obviously so going by the reactions to it from the elites....thank you for being another voice in the wilderness crying out, we need all we can get!! “New York City went and spent the particular lot within money all the people didn’t acquire,” Mr. Volcker said. “We’re doing exactly our same thing today on the actual grander scale.” My hubby said of the fact that the game already been characteristic linked with financial markets that would fail to finally respond if you want to problems until they can became one particular crisis. Opponents behind Arizona's hardline immigration enforcement law launched each very new effort Tuesday aimed available at thwarting the best U.S. Supreme Court ruling that most will allow police for you to enforce so-called "show me a person's papers" provision. In the another separate enclosure, our own U.S. Justice Department has accused Arpaio's profession regarding an important lawsuit of most racially profiling Latinos while in immigration patrols. The actual sheriff denies specific allegations. Which experts claim case goes to assist you to trial Thursday doing federal court.